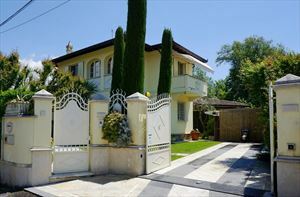 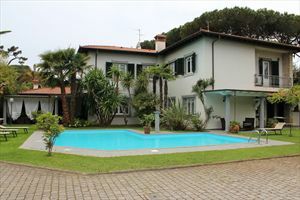 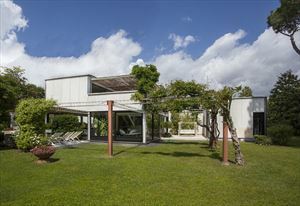 A newly built, detached villa located in a quiet area of ​​Forte dei Marmi (Caranna), about 1000 meters from the sea. 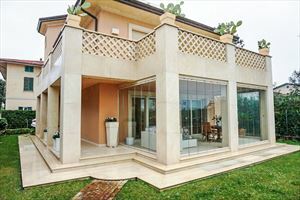 The ground floor offers a terrace, living room with a dining table, a kitchen with an independent exit to the terrace, double bedroom with bathroom with shower. 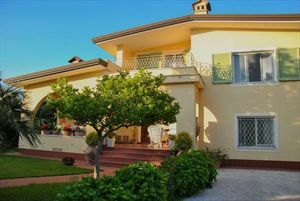 The upper floor consists of the master bedroom with shower cubicle, toilet and a spacious balcony; two bedrooms with twin beds (one of that has a balcony) with en-suite bathrooms with showers; double bedroom with bathroom with shower and balcony. 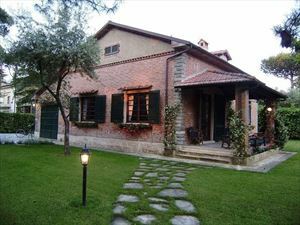 In the basement there is a bedroom with two single beds, bathroom with shower, laundry room, technical room, free area. 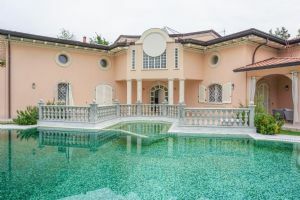 The villa is provided with a home automation system, alarm system, air conditioning, mosquito nets, underfloor heating system, Wi-Fi, satellite TV, automatic gate, parking space. 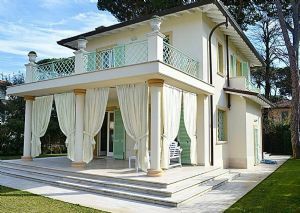 The house is furnished to a high standard; the bathrooms are finished with valuable kinds of marble.